The 18-year-old skip from Calgary has been unfazed by the excitement and nerves associated with competing at a national curling championship. She’s managed to call games effectively on the two different ice surfaces at the Glen Allan Recreation Complex and Sherwood Park Curling Club, she’s communicating concisely with her teammates amongst the noisy crowds and has helped guide her team to a strong 4-1 round-robin record in Pool B at the national championship. “I actually find this is where I belong,” Wytrychowski said. She vividly remembers being three-years-old and stepping into a curling club for the first time in her life. At the time she lived in Yellowknife and it was the only building in the city that she hadn’t been in. Her neighbour was getting married in the upstairs lounge and that’s when she became interested in the sport. Wytrychowski was too young to join the junior program in Yellowknife. But when her family moved to Fort McMurray, Alta., she picked up the sport right away. It was everything she imagined it would be and more. “I started curling in Fort McMurray, but I got my love of curling while in Yellowknife and it continued on in Calgary,” she said. The International Relations student at the University of Calgary is joined by vice-skip Olivia Jones, second Micayla Kooistra, lead Emily Kiist and coach Joe Brown. 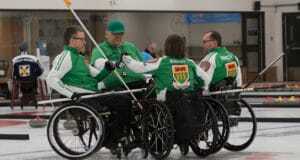 They had a two-win day on Thursday, first defeating New Brunswick’s Melodie Forsythe (Curl Moncton) 5-2. The second game of the day had sentimental value for Wytrychowski as she took on Cassie Rogers of the Northwest Territories who plays out of the same club that inspired her to take up curling, the Yellowknife Curling Club. Alberta won the game 8-2. The team from the Airdrie Curling Club is in its first season together. All four members of the team hail from different locations in Alberta: Wytrychowski in Calgary, Jones in Edmonton, Kooistra in Strathmore and Kiist in Okotoks. Despite this, they gather once a week in Airdrie to curl in a league. Jones lives the furthest north and joins the team when she can, but still practises independently. “They’re like my family. I wouldn’t want to be doing this with anyone else,” Wytrychowski said. She’s been curling for 11 years and has already added some impressive accolades to her resumé including scoring two eight-enders, one with hammer and one stolen. But getting the chance to represent Alberta in front of a hometown crowd is something she will never forget. Wytrychowski’s family and friends are here, cheering her on every step of the way. While Wytrychowski’s team will remain eligible for another U-18 championship next season, this is her final year of eligibility. 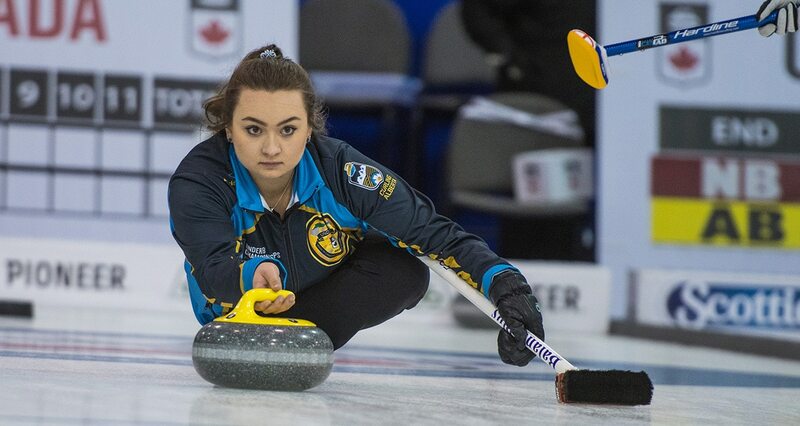 The event’s giving her valuable experience to chase her dreams of representing Alberta at the New Holland Canadian Juniors and one day, a Scotties Tournament of Hearts. Alberta is tied with Manitoba’s Emma Jensen (Dauphin Curling Club) in Pool B with a 4-1 record. On the opposite side of the draw there’s three teams tied for first. Alberta Host Team’s Julia Bakos (Crestwood Curling Club, Edmonton), Northern Ontario’s Bella Croisier (Idylwylde Golf & Country Club, Sudbury) and Prince Edward Island’s Lauren Ferguson (Cornwall Curling Club) all have 3-1 records. 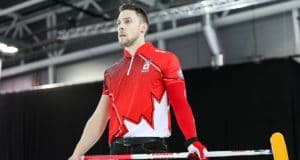 In the boys competition British Columbia’s Erik Colwell (Vernon, Kamloops and Invermere Curling Clubs) and Manitoba’s Jordon McDonald (St. Vital Curling Club, Winnipeg) both have 4-1 records in Pool A. Alberta’s Nathan Molberg (St. Albert Curling Club) sits atop Pool B alone at 4-1. The 2019 Canadian Under-18 Curling Championships continue on Friday with games at 10 a.m., 2 p.m. and 6 p.m. (all times MT). The top four teams from each pool will play in a double-knockout bracket that will qualify four teams for an Olympic-style playoff (1 vs. 4, 2 vs. 3) where the winners advance to the gold-medal games and losers will play for bronze.